The Principals: Alfonso Cuarón (Director). Daniel Radcliffe, Rupert Grint, Emma Watson, Michael Gambon, Gary Oldman, David Thewlis, Alan Rickman, Maggie Smith, and many more. The Premise: Nearing the beginning of his third year at Hogwarts, Harry Potter’s intolerable home life with the Dursleys finally blows up and sends him on the run. He ends up safely back amongst the wizarding world, but finds that his running away was rather dangerous as a supporter of the deposed Lord Voldemort is on the loose and looking to kill him. Harry returns to school for a new year fraught with changes as soulless floating horrors patrol the school and Harry is watched closer than ever. Soon though, Harry will learn more about his past than he’s ever known as new friends and new enemies reveal themselves. Is It Good: It’s very good, and now with the cinematic saga of the Harry Potter story complete it is safe to say that it remains the best of the films. There are a few qualifiers to that statement, however. The Harry Potter franchise has done something on film that no other filmmaking endeavor has ever attempted: to make eight films across a mere decade that retain a consistent cast, story, design sensibility, and emotional continuity. 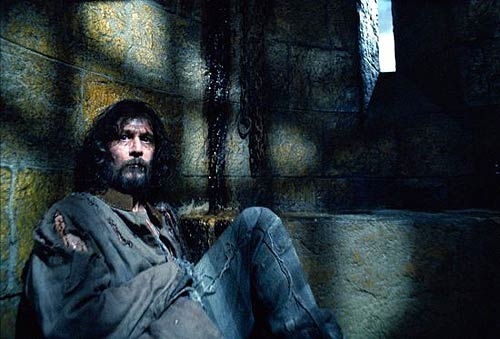 Sticking so close to the source material means that different chunks of the franchise have different quirks, and Prisoner of Azkaban sits among the first four films which each still placed priority on traditional storytelling. 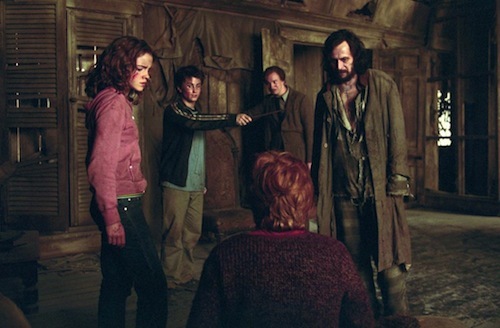 With Order of the Phoenix, the fifth film, the franchise begins shifting into high gear, and momentum and accumulated imagery empowered the filmmakers to make fewer allowance to traditional narrative concerns. All of this to say the first and second halves of the franchises are just as different in pace and structure as they are in tone and maturity of subject matter, and Azkaban –decidedly still among the more traditional films– is far and away the best of the bunch. It’s beautifully shot, brilliantly cut, and perfectly bridges the shift from the innocent exuberance of the early material to the heaviness of what is to come. It does this so well in fact, that the fourth film is a profound step back that is saved only by the introduction of several brilliant actors. I guess that’s what happens when you hire a real filmmaker. Alfonso Cuaron was the first new director to be hired on the franchise after Chris Columbus jump started everything with the first two films Sorcerer’s Stone (MOD) and Chamber of Secrets (MOD). With his introduction came several shifts in the aesthetics of the photography, costuming, geography and directing. Obvious details like the change in the design of the Hogwarts grounds, or the characters wearing street clothes for much of the film mask more subtle shifts in approach to direction, blocking, and editing transitions. Cuaron had not yet made Children of Men and cemented himself as a new master of linear visual storytelling at this point (promise we’re still waiting on him to follow up on, by the way), but you can’t help but notice the stark contrast in the sophistication of his composition and camera movement from what came before. The last sequence in particular is nearly a masterclass in callback and visual rhythm. Most importantly –despite not being familiar with the books or films before being hired– Curaon gets Harry Potter, and there great little touches here that feel wonderfully prescient when looked at with hindsight. It would be another movie or two before Yates would finally get a handle on the material and get as good a grasp on the character dynamics as Cuaron showed here (Newell just failed completely in this regard). 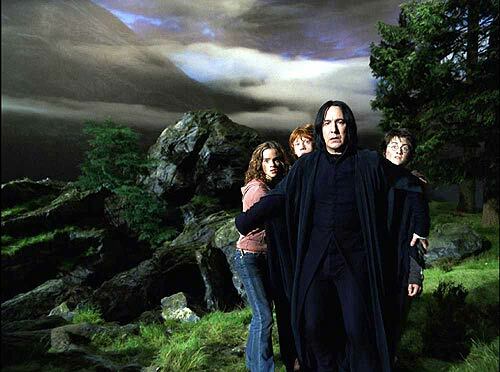 The hints towards Hermione and Ron’s burgeoning love, Snape’s instinctual shielding of the trio in the face of danger, every bit of the material that takes place in the shrieking shack… pitch perfect. 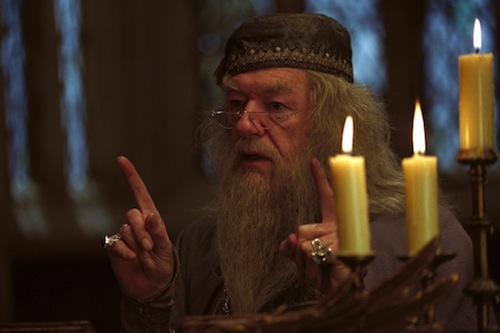 Cuaron also guided the introduction of Michael Gambon as the new Dumbledore, a choice that would ultimately be the franchise’s greatest asset. I’m simply baffled by any who prefers Richard Harris’ wispy and prototypical old wizard- a figure that would never have fit in as the franchise progressed. Gambon however, has always perfectly captured the dark humor, wit, and ruthlessness of Dumbeldore- something which began here. Observe his quiet discussion with Snape about the safety of the castle, or his beautiful scene with Harry and Hermione where he both proposes and explains a dangerous and complex mission without every saying a specific word, all with that voice that rivals even McKellen at exhuding wisdom, warmth, and power. Remarkable stuff. Finally, Cuaron navigates a shift in tone that was ahead of its place in the series. The Harry Potter series does not really make a gradual shift into darkness, it hints and suggests and alludes before finally drawing a dramatic dividing a line in the sand and forcing its hero to face reality all at once. That happens later, but here Cuaron mixes the innocence (often demonstrated by the focus on small magical novelties) with the dark stakes of the coming war (demonstrated by potential soul-consumption) in a way that, again, makes Goblet of Fire seem like a step back. 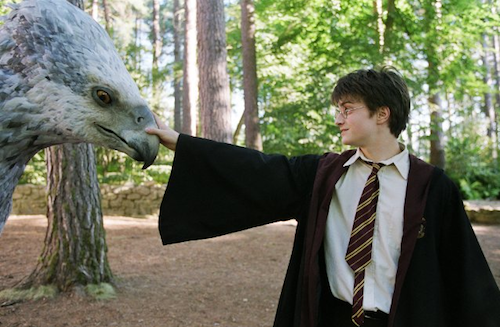 In terms of traditional storytelling, accessibility, and top-to-bottom sophistication, Harry Potter and the Prisoner of Azkaban remains the crown jewel of a massive, glittering franchise that will remain a classic for decades. Random Anecdote: This was the first Harry Potter film I watched in theaters, the first to be shown in IMAX, and the last to be sold on VHS tape. 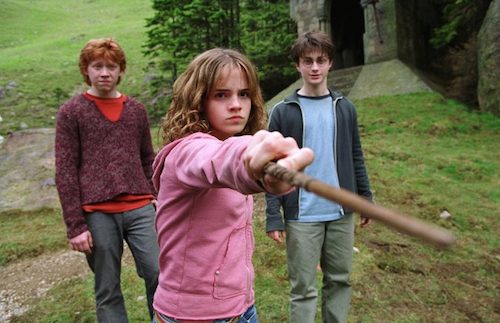 It is the lowest grossing Harry Potter film, though it is the 30th highest grossing film of all time (worldwide). It’s also the highest grossing film to prominently feature a rat. Cinematc Soulmates: The rest of the Harry Potter series , Hellboy, A Little Princess. Do you agree this remains the best Harry Potter film? Enjoying the Potter MOD’s this week? We’d love to hear from you. You can find me on twitter, lay something down in the comments below, or hit the conversation on the boards.